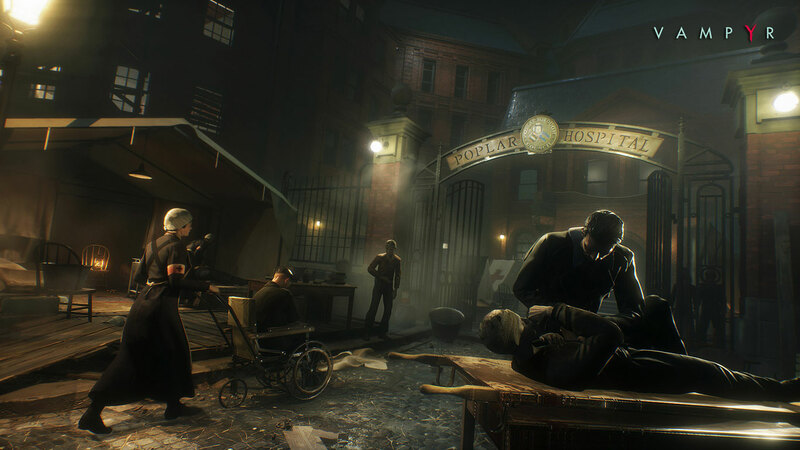 Here’s a new trailer for Vampyr, an upcoming action-RPG from Dontnod Entertainment. Opening with mention of the London flu epidemic would suggest that the story takes place in 1918. Dontnod are the studio behind two of my favourite games of the past few years – Life Is Strange and Remember Me. Both tell gripping stories set in detailed worlds and provide original, accessible game mechanics. This trailer, however, seems to tell the most generic vampire tale ever written. Oh poor me, my life was dedicating to healing and now I have to kill and drink blood. Noooo, I’m super-strong and practically immortal, woe is me because political factions exist among supernatural beings too. Please. Chow down on some criminals and be glad you’re not going to die from the flu. I’ll be keeping an eye on it because I have a thing for vampire stories and respect for Dontnod’s storytelling. It’ll be far more interesting once we learn what kind of vampire powers we’re dealing with. Vampyr is coming to PC, Xbox One, PS4. Here’s the official Vampyr site.